Panel 1- "Impact of the Brazilian Presidential Elections: Implications on the Economics, Foreign Investments and Politics"
Panel 2 - "Managing Ethics, Compliance and Governance Risks in Brazil: an Improved and More Transparent Post-Lava Jato Environment"
panels with Award Ceremony and Keynote speech from the nominees. 1. 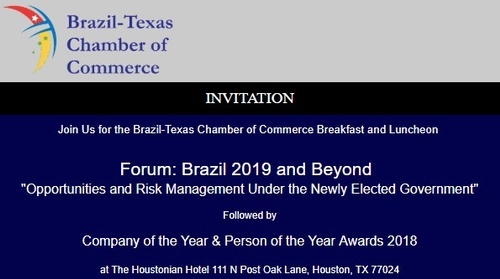 Award Person of the Year: Carla Lacerda, President, ExxonMobil Brasil.